Winter may be a time to regroup and relax, but it’s also a great time to plan future adventures! There’s a lot of dreaming going on around here. What trails will we explore? What roads will beckon to us? And most importantly, what new and exciting recipes will we be adding to our repertoire? One of the most important food item in our box of tricks is the ready-to-eat snack. Something healthy and delicious, that travels well, and keeps us full, at least until the next pit stop. We’ve got a few beloved recipes, but we also asked some of our favorite travelers and adventurers to share their best snacks for hiking and road tripping. This is what we’ve come up with — granola bars, energy balls, and trail mix that you can whip up before any adventure. Our favorite recipes for hiking snacks and road-trip nibbles. Are we the only family that goes through boxes and boxes of granola bars each week? Those store-bought jobs work fine in a pinch, but they are full of sugar, and often lacking in nutrients and flavor. My kiddos love when I make them homemade, and honestly, they don’t take long to make from scratch. 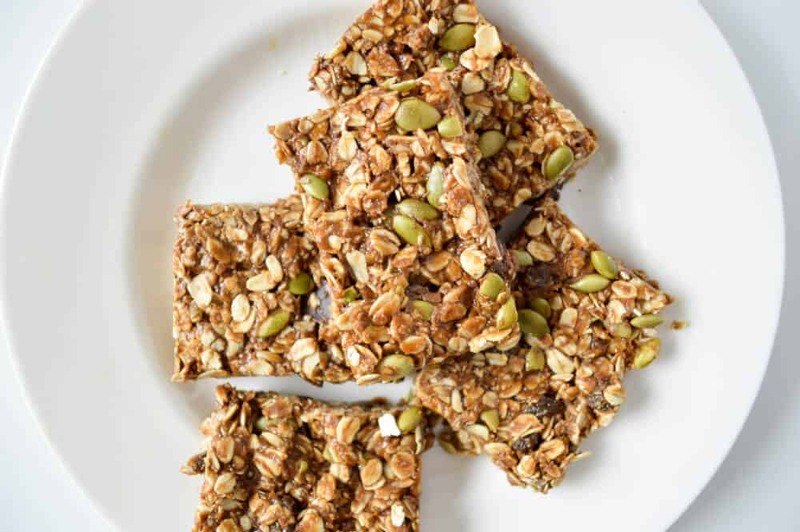 Here are some of our favorite granola bar recipes for road trips and day hikes. Yes, they’ve got gooey marshmallows and dark chocolate, which will make your sweet tooth happy, but they’ve also got some serious nutrition thrown in for good measure. Dates and maple syrup round out the sweet flavor package, and chia seeds provide calcium, magnesium, and fiber. These babies pack well, and are a fun and appreciated surprise when doled out on top of a mountain. You can find the full recipe at Fresh off the Grid, which is one of our favorite sites for recipe inspiration. 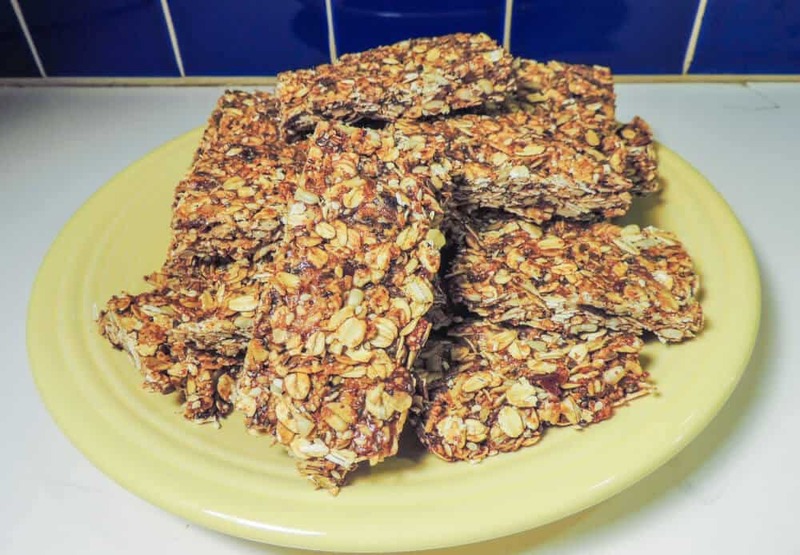 I created this recipe because I needed a granola bar that didn’t turn to trail mix halfway through my hike. I was looking for something sturdy, and more importantly, something my kids would eat without complaint. 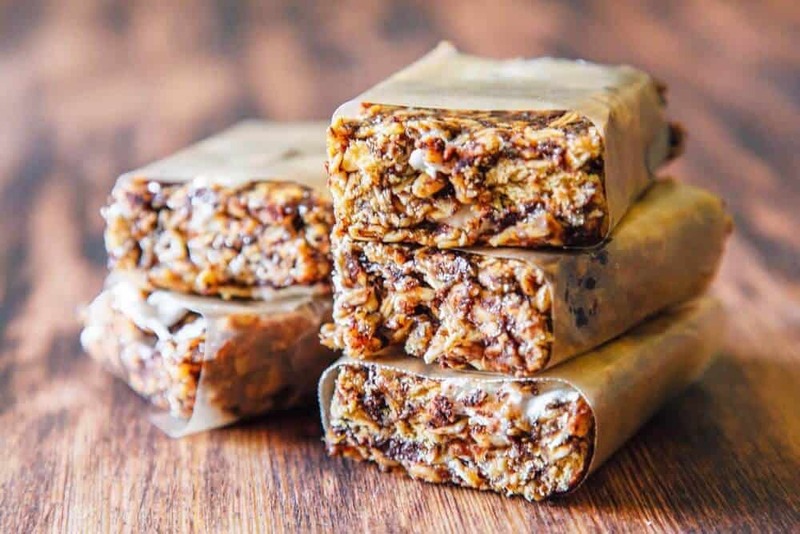 These bars keep their shape and their flavor on day hikes and weekend road trips. I can keep them in my purse or the glove compartment for days, and they’re still yummy. With a good mix of sunflower, sesame, chia, and flax seeds, they’re nutritiously dense. If you replace the almond butter with sun butter, they can be made nut-free. Anyway, find the recipe here, and let me know what you think. Need a fast snack for your upcoming road trip? The awesome thing about these delicious granola bars is that you basically stir them, spread them in a pan, and let them chill out for a few hours. They seriously take 10 minutes to whip up. The sweetness comes from honey and molasses, and there’s bits of chocolate mixed with peanut butter, just for fun. The only caveat with these bars is that they don’t hold up well in the heat. Store them in the freezer and tuck them in your pack before a hike in the fall, winter, or spring. Do not leave the in your car on a hot summer day! You can find the recipe over at This Runner’s Recipes. Trail mix is even easier to make than granola bars, and if you’re in a hurry, there’s no harm in dumping a bunch of nuts and dried fruits into a plastic bag and heading out the door. In fact, this is the way I usually do it. However, there are a few combinations that go particularly well together, so I’ll share them here. 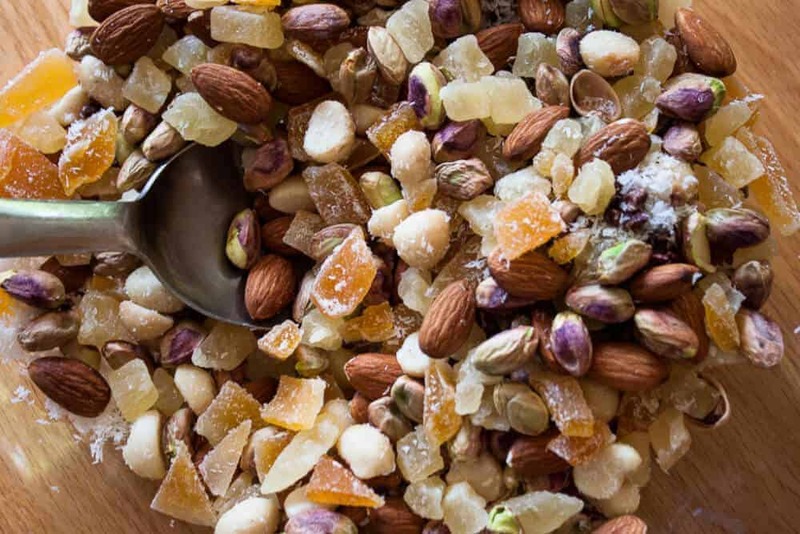 This trail mix is road trip superfood — a perfect combination of our favorite things — pistachios, mangoes, coconut, and macadamia nuts.I threw some cacao nibs in the bag to add crunch and avoid a melty chocolatey mess in my car. It totally worked, and you can eat handfuls of this stuff without any guilt. Find our recipe here, and don’t forget to share with your kids! This delicious trail mix is a great incentive to coax tired kids onward when hiking. I can’t think of many kid who would turn down M&Ms in their bag of goodies. Add banana chips, cranberries, and premium nuts, and this mix may disappear before you even get to taste it for yourself. You can source all of these ingredients pretty easily, so there’s no excuse to not keep some of this tasty stuff on hand. The full recipe can be found on Play Outside Guide. Spread on a small sheet pan and toast in your toaster oven at 400 degrees for 8 minutes or so. Stir after 4 minutes. Let cool and enjoy. Energy balls are little nuggets of protein that make perfect hiking and road trip snacks. They’re quite easy to make, and the opportunities for experimentation are endless. 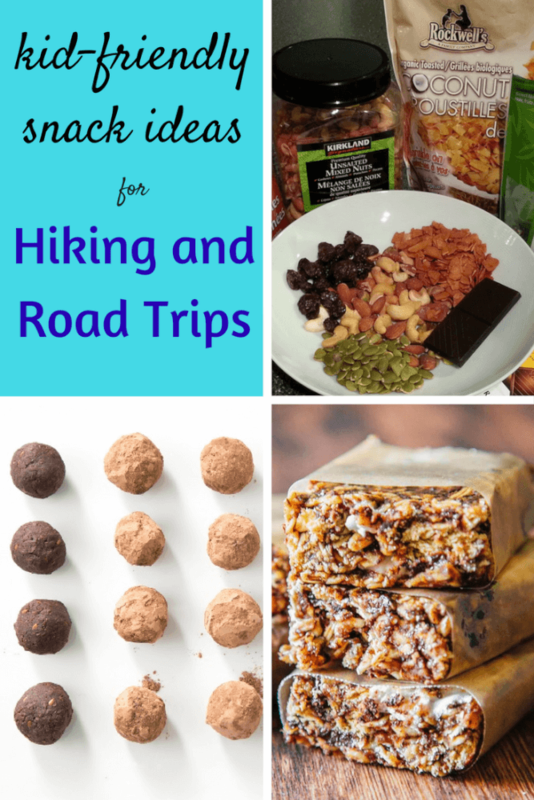 Here are some of our favorite energy balls for hiking and road tripping. Feel like your kids are eating ALL day long? 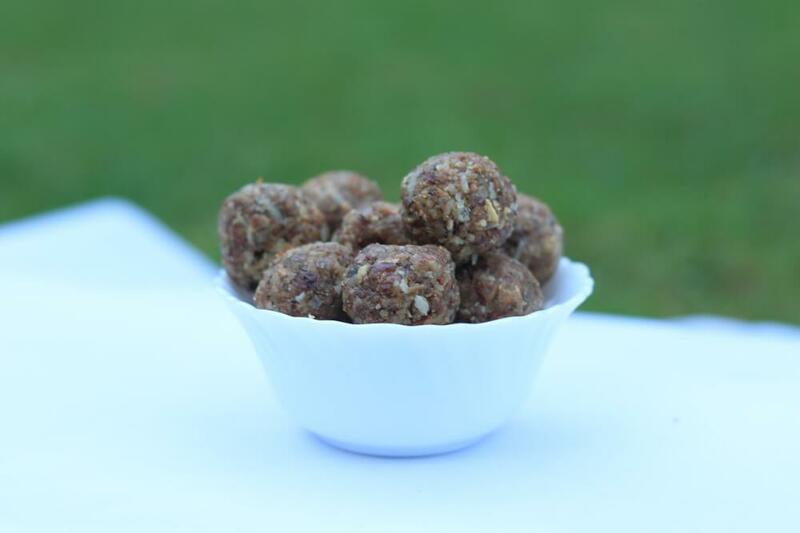 Energy Balls are filling little bite-sized snacks, packed with protein and flavor, guaranteed to satisfy even the most voracious appetites. Throw a handful in your hiking backpack, or take them to the campsite as a great alternative to those store-bought bars and bites that are full of ingredients we can’t pronounce. This recipe comes courtesy of Jennifer Fontaine, who is a health and wellness expert and managing editor at Outdoor Families Magazine. 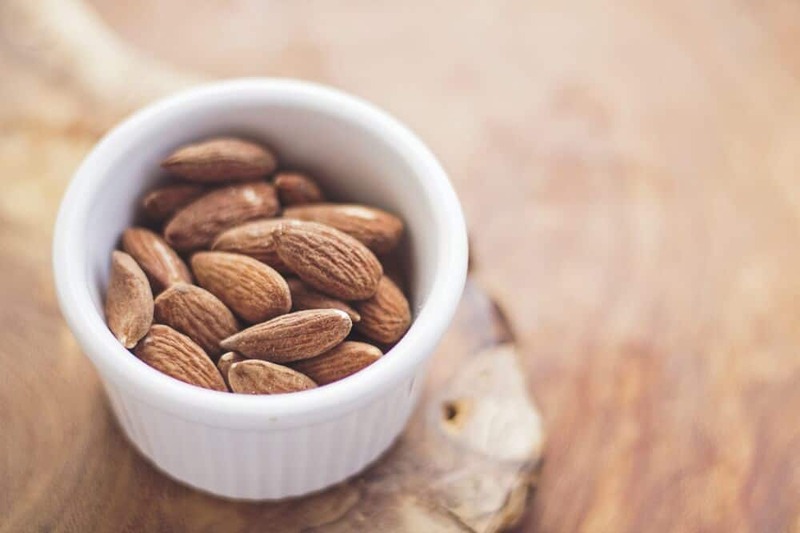 Place the almonds, oats, and walnuts in the blender to finely chop them. Place the finely chopped walnuts, oats, and almonds in a bowl and add chocolate chips mini, flax seeds, wheat germ, and black chia seeds and mix all of these dry ingredients together. Add the peanut butter and honey and mix together till it’s all completely mixed. You can use 1/2 cups to 3/4 cups of each. I like them gooier so I use 3/4 of a cup but if you want your energy bites firmer I would recommend adding 1/2 of a cup of each. Roll into small bites about a ping pong ball in size. Should make about 18-24 bites. Put in the fridge so they can harden some. Pack them up in your backpack for a perfect trail snack to enjoy. 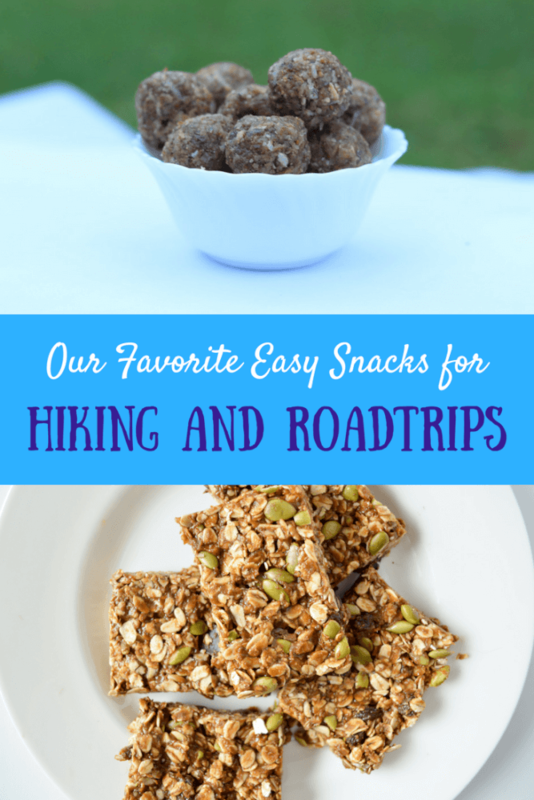 The above snacks are perfect for all of your family hiking and road trip adventures. Add some sturdy fruit and hard-boiled eggs, and you can call it a meal! By kid friendly you mean 28-year-old friendly right?? ? 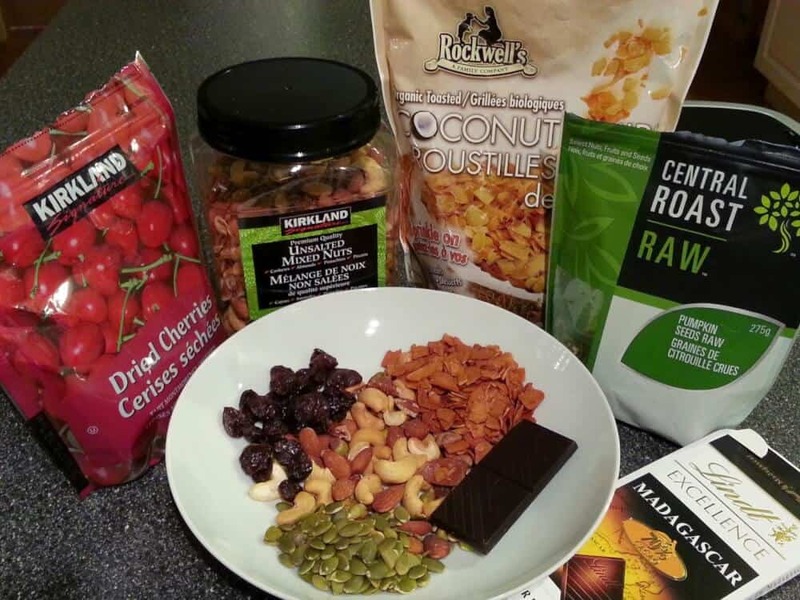 I’m totally making that tropical trail mix before my next hiking trip. Sounds so tasty! Great round up of various snack recipes here – Thanks! Being dairy free I often find it difficult to find store bought snacks that don’t contain some minute form of dairy – and sometimes they say “may contain” but I still don’t want to take the chance. These look great. These all look super tasty! Granola bars are so handy for hiking, but the ones at the store are usually pretty awful (and awful for you). I’ll have to remember these for my next hike!